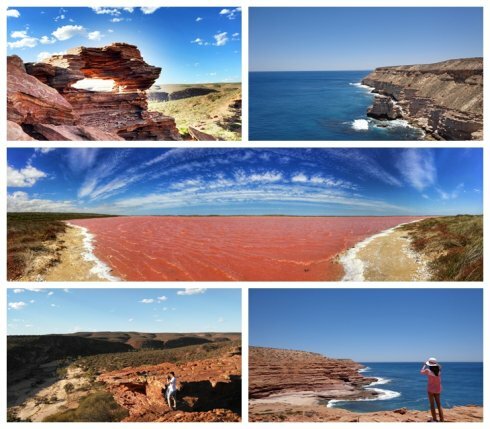 Kalbarri is a coastal town in the Mid West region located 592 km north of Perth, Western Australia.The town is found at the mouth of the Murchison River and has an elevation of 6 metres (20 ft).It is connected by public transport to Perth via Transwa coach services N1 and N2. We have 3 kinds of Kalbarri Tours. We will depart from Geraldton at 8:00 am in the morning.We can pick up you from your place. Then we will go to port gregory to enjoy the amazing ground scenery of the Pink Lake, then go to Pot Alley and try to find the hidden mini gorge and beach. We also will take you to Kalbarri National Park to enjoy Nature’s Window and the grand gorge which formed 40 million years ago. 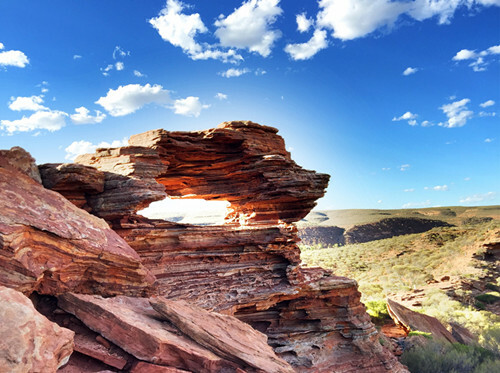 On the way back, we will visit the famous Kalbarri Coastal Cliffs and walk to Natural Bridge to feel the magnificent nature. We will arrive in Geraldton at around 5:15 pm. After enjoying one of our “Shipwreck Special” Abrolhos Island Full Day Tours, we can depart from East Wallabi Island and return to Geraldton via Kalbarri and the Murchison River Gorges. After leaving the Abrolhos Islands, we track direct to Port Gregory the historic fishing village which back in the 1850’s was once was a busy port for the export of lead and the site of a whaling station. You will see the Hutt Lagoon or the “pink lake” which produces beta carotene, a lucrative aquaculture crop estimated to be worth more than $50M a year worldwide. Following the coastline we fly past the spectacular coastal cliffs south of Kalbarri, the mouth of the Murchison River and the town of Kalbarri, following the River to Murchison House Station, and then direct to the Loop and the Z Bend gorges of the Murchison River. We follow the River south until it turns to the east towards its source many kilometres to the north east, and we then return to Geraldton overflying the rich farming lands of the Northampton area and the Morseby ranges before landing back in Geraldton. On the tour day, please bring you own drinking water, hat, sunscreen, bathers, towel, camera, footwear appropriate for walking on sandy, rocky tracks and in the water. We will provide you with snorkeling gear but we do recommend you to take your own masks and snorkels if you are going to do snorkelling. 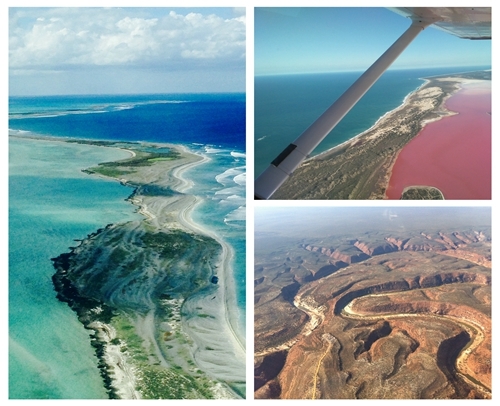 This scenic flight follows the coastline from Geraldton to Kalbarri, overflying the Geraldton Port and Marina, Lynton Station, the site of a Convict Settlement, Port Gregory and the Hutt Lagoon, the spectacular coastal cliffs south of Kalbarri, the mouth of the Murchison River and the popular tourist town of Kalbarri. We then follow the River to Murchison House Station, and then fly direct to the Loop and the Z Bend gorges of the Murchison River. We follow the River south until it turns to the east towards its source many kilometres to the north east, and we then return to Geraldton overflying the rich farming lands of the Northampton area and the Morseby Ranges before landing back in Geraldton.